The island in San Francisco Bay has often been called the Ellis Island of the West, but it wasn't really, says Erika Lee, director of the Asian-American Studies Program at the University of Minnesota. 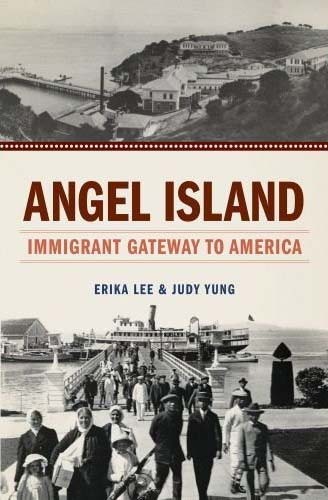 Lee has joined with Judy Yung, professor emeritus of American studies at the University of California, Santa Cruz, on a new book, "Angel Island: Immigrant Gateway to America." Sixty percent of Angel Island immigrants were detained, while the rate at Ellis Island was 20 percent. The stay on Ellis Island was a few hours to a few days for most European immigrants. For most Asians at Angel Island, it ranged from a few days to weeks. But Asians weren't the only people who tried to enter at Angel Island. In fact, the authors say, the diversity of arrivals makes Angel Island a more accurate picture of America's relationship to immigrants.